Christmas Alfie Bear - 18"
Send someone special warm wishes and teddy bear kisses with our lovable Alfie Teddy Bear. Our premium, super-soft Gund Teddy Bear has amazingly silky fur. With a broad smile and big nose, this two tone bear is a big winner with anyone who holds it! This Teddy Bear measures about 18" and includes free personalization! 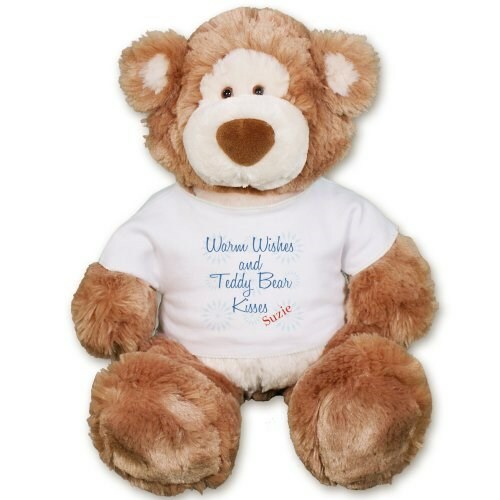 We will personalize your Teddy Bear T-Shirt with any name. Free gift wrapping and a free gift card is included to create a thoughtful presentation.